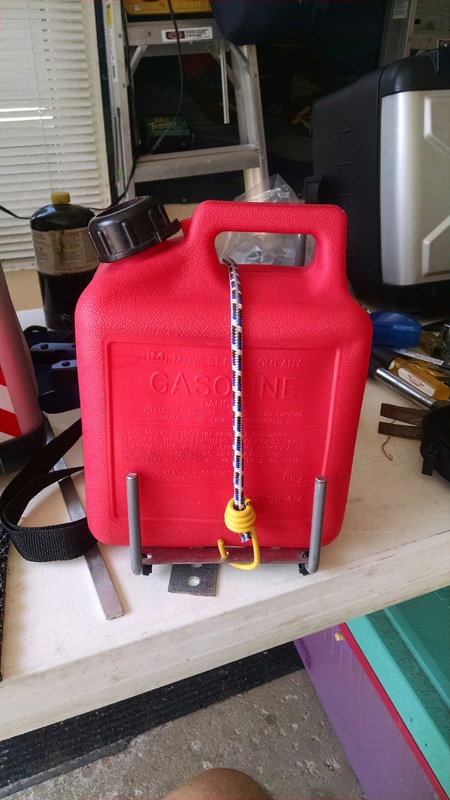 With the thought of running out of gas and being stranded in the middle of nowhere, which at times doesn’t sound so bad, I thought I would try and jerry-rigg up an option of bringing a gallon of gas along for the trip to AK. 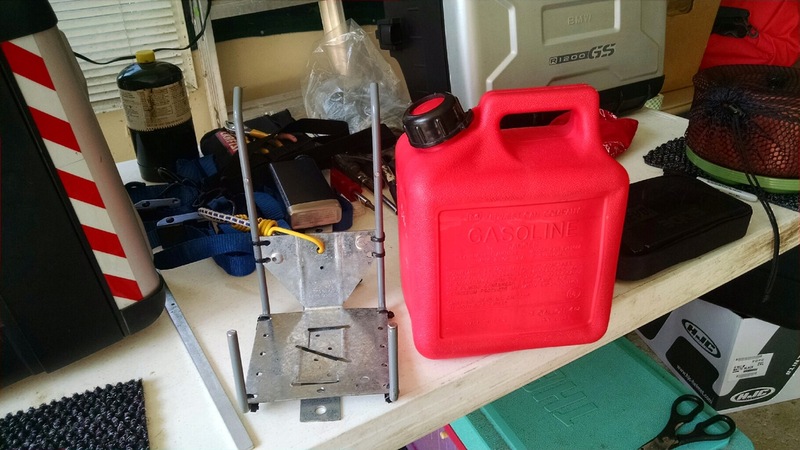 With a new 1 gallon gas can my brother-in-law Tony found in his garage, an unused weed wacker storage mount I found in my shed and an old joist hanger that was laying around, I went to work. The plan is to mount it on the outside of one of my panniers. It’s still work in progress and I still need to re-purpose some parts and I think it just might work. Once I get my bike back from the shop I should be able finish this sucker off and see how road worthy it is. Stay tuned!